Luckily for me, I was “un-brainwashed” of this filth by my buddy Rob Leatham many years ago. Not all shots require the above-mentioned “perfect sight alignment”. 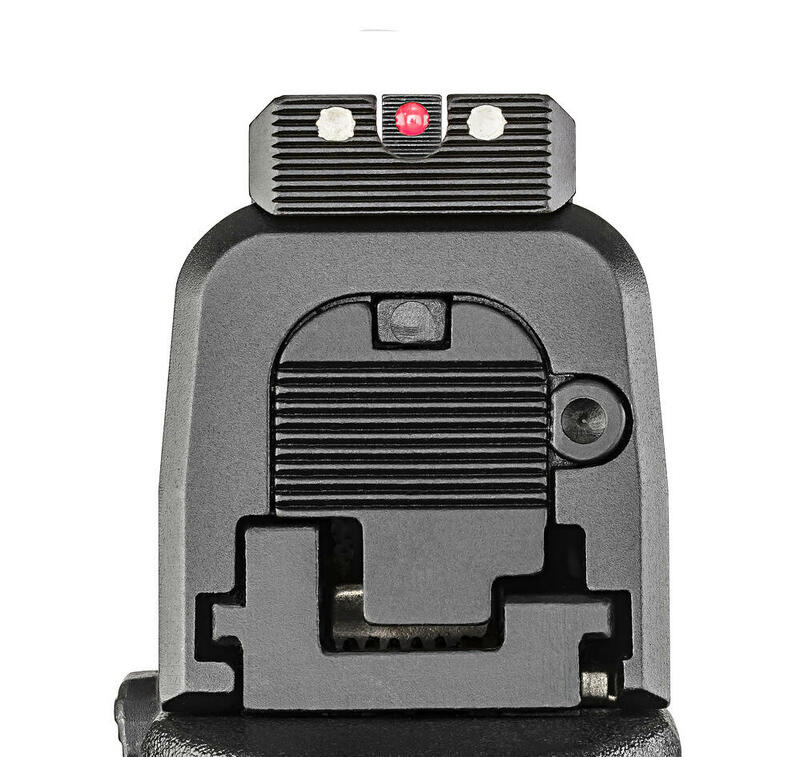 An acceptable sight picture is a relatively difficult concept to explain because there are so many variables that effect how the sights appear from one shooter’s gun to the next. 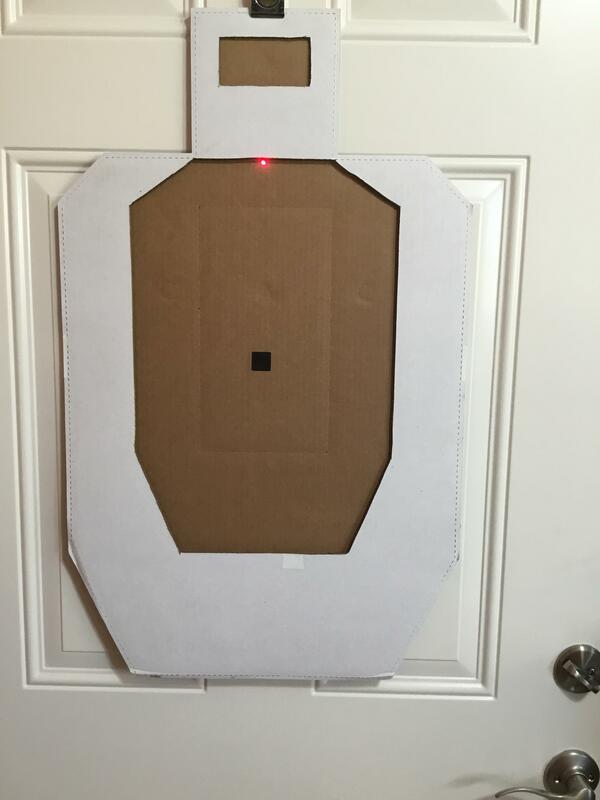 Target size, target distance, the type of sights, the sight radius, the length of the shooter’s arms, even the head position can effect how the sights look in relation to each other and how they correspond to the intended target. 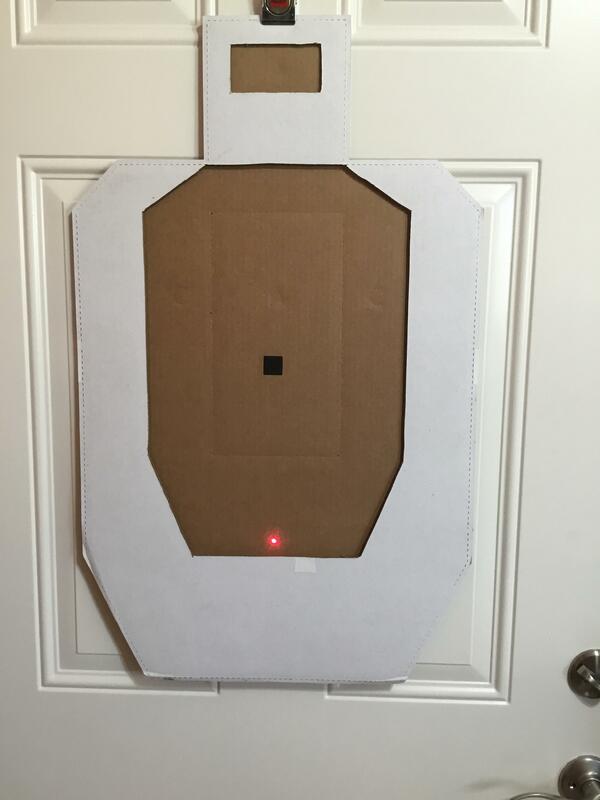 When instructing, I use this dry practice drill to help others better understand what an acceptable sight picture is, for the difficulty of the shot. The latter part of that sentence is very important! I would recommend first doing this drill at a relatively close distance, maybe 3 to 5 yards. 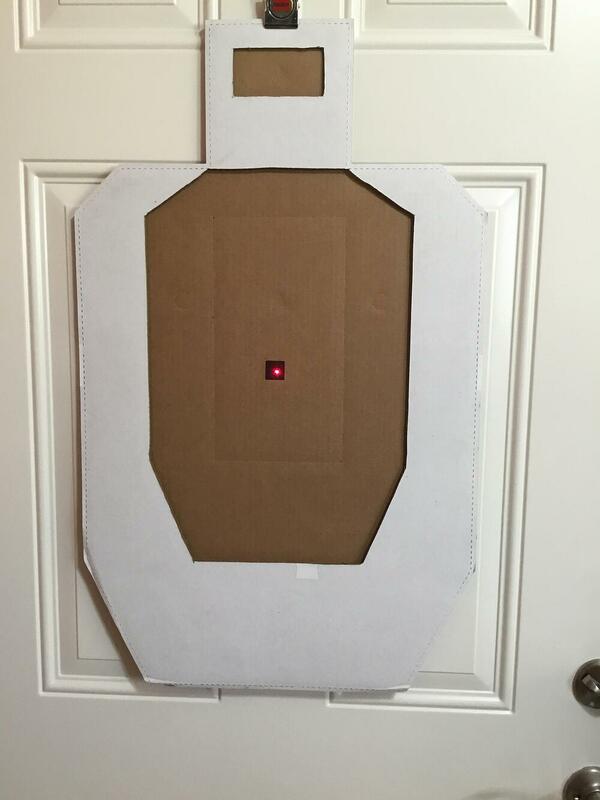 Place Laser Target I (with the C-Zone side of the target facing you), at your desired (and zeroed) distance. 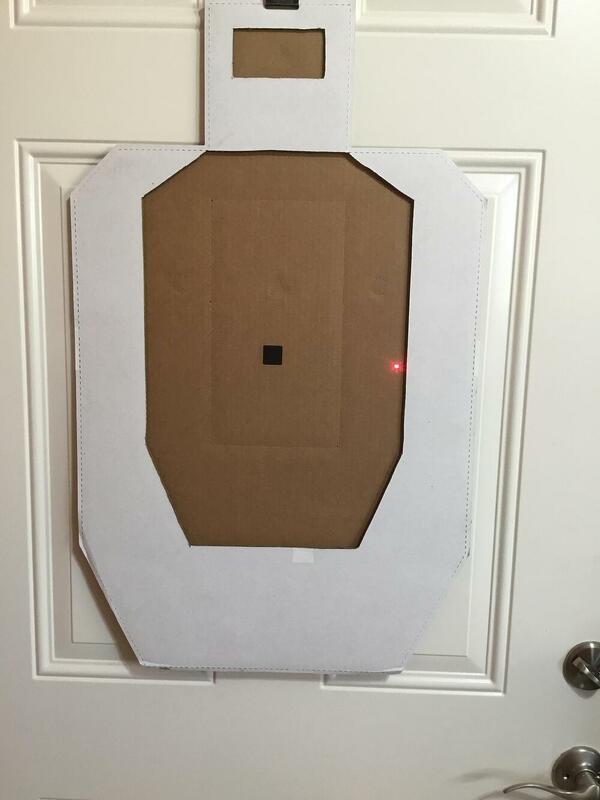 Finally use the 1” black square of tape for your aiming spot. 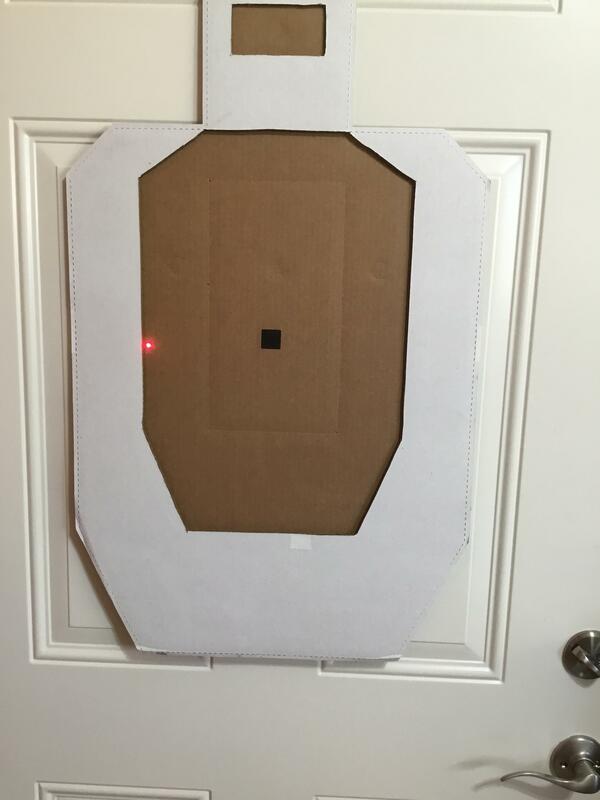 As long as the laser is “aimed” in the desired scoring zone, the corresponding sight picture would be “acceptable”. All that is left is to fire the gun.